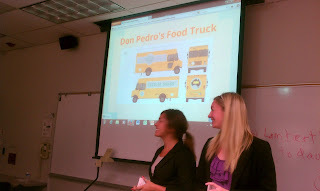 Professor B. Strother's International Business Class at APU did a case study about our company, on how to take our products and brand to six international markets. 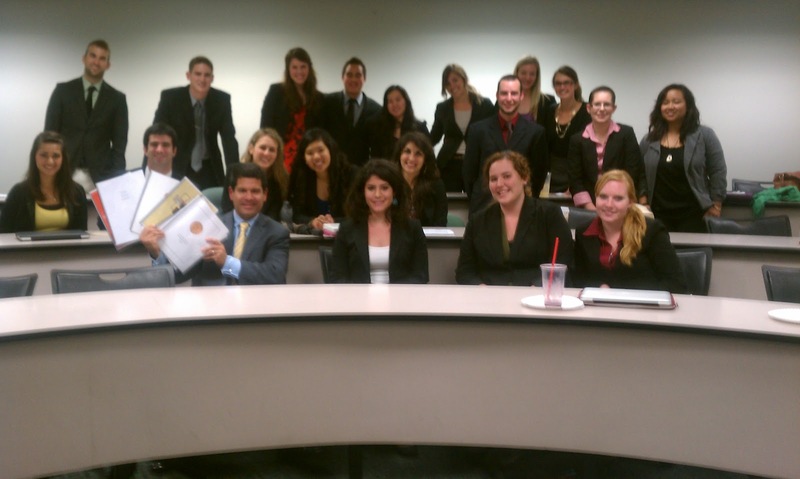 At the beginning of the semester they invited me to talk to their class about our company, our business philosophy, our products, entrepreneurship and the market for hispanic foods in the U.S. Last week they invited me again to listen to their presentations and their ideas about how to take our company and our products to other countries. I walked out of that class with six marketing plans choke-full of great ideas and an irrespressible optimism for the new generation of talent coming up. I really can't wait to see this generation become the new consumer and the new working force. They are technologically savvy, they are smart consumers, they are informed, creative, and deep down a really happy generation. They are very adventurous when it comes to trying new things, new ideas, and most importantly, new flavors! 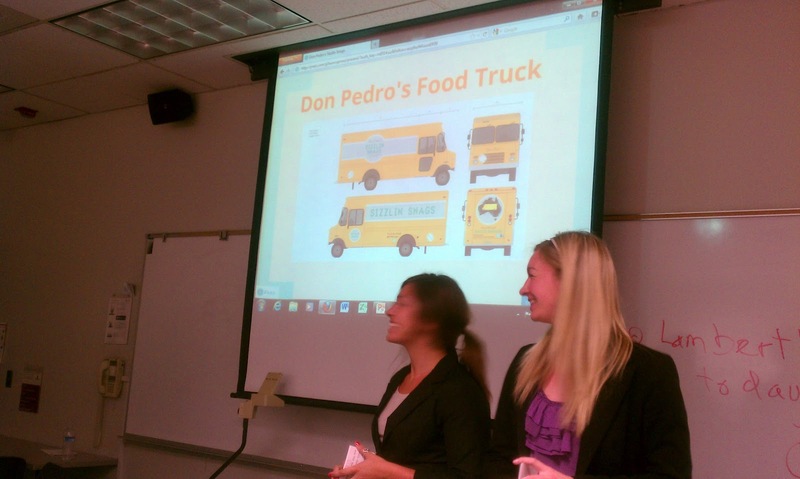 In this picture Jillian Joyce, Elisa Morales and Danielle Trubac's team were proposing expanding with a fleet of food trucks in Australia.